Personal training is a big revenue-driver for many health clubs, but finding and keeping quality trainers isn’t easy. This webinar will give you the tools to build and retain your personal training dream team. Sponsored by Perfect Gym. 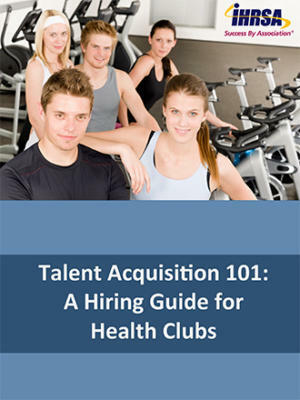 Personal trainer retention begins with an effective hiring strategy that’s unique to your health club. To create that strategy and build a successful personal training team, you first need to fully understand your company culture and define your strategy for growth. And the work doesn’t stop there; once you’ve fine-tuned your hiring and onboarding strategy, it’s time to see how it fits in with your club’s overall business plan. Having a big-picture understanding of how these components work together will help make you a successful manager or team leader. Not sure where to start? This webinar will give you all the tools you need to build and retain your personal training dream team. 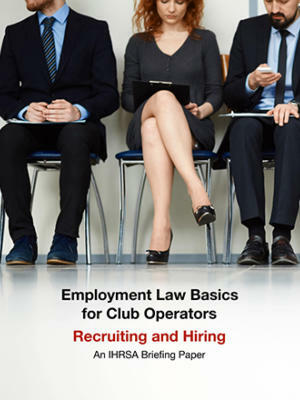 Create a hiring strategy based on overall club strategy, culture, and values. Discover creative ways to onboard personal trainers and teach them to own their own business, drive revenue early on, and stay for the long term. Implement and structure one-on-one meetings with trainers. Understand the importance of incorporating “stay interviews” into your management practices. Kate Golden is the Director of People & Fitness Operations for the Newtown Athletic Club, a 250,000 sq. ft. individually owned lifestyle facility. She worked in the human resource field for eight years prior to joining the fitness industry, specializing in employee engagement, communication, and leadership training and development. She currently oversees all fitness and wellness operations for the club, as well as human resource responsibilities, as needed. She is greatly involved in fundraising for Augie’s Quest and was honored as one of the fitness industry’s 2017 IHRSA Rising Stars. Golden has a bachelor’s degree in business management, master’s degree in human resource development and is a certified human resource professional. 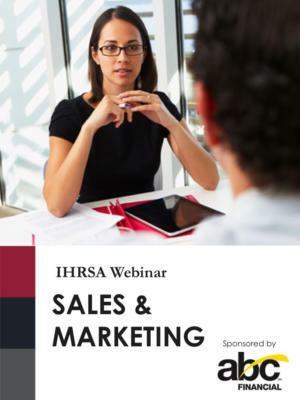 IHRSA webinars are free for IHRSA members and $79 for non-members. Each webinar purchased will provide you with access to the live presentation of your choice for as many of your staff as you choose, plus all downloadable materials, and unlimited access to the archived webinar for 60 days. The fee includes one webinar connection and one set of handouts for unlimited attendees at one location. Instructions for connecting to these valuable webinars will be sent to registered participants 24-48 hours prior to the event.